Happy Monday! I hope you had a great weekend! I did a whole lot of nothing this weekend, which was pretty wonderful. Sometimes there is nothing more relaxing than spending the day in your comfy clothes, catching up on your favorite shows! The weather also changed drastically over the weekend, going from 80 degrees one day to 60 the next. It’s supposed to be in the 60’s all week so I am excited to pull out my boots and sweaters! 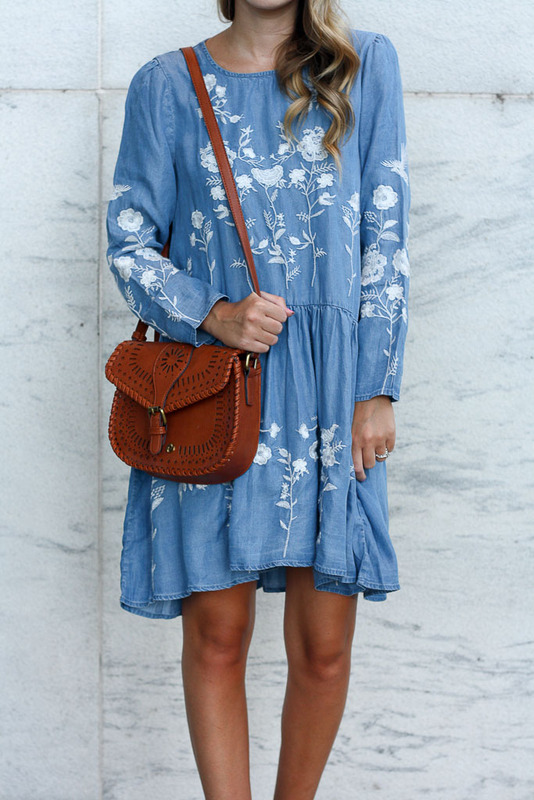 This dress is perfect for fall! 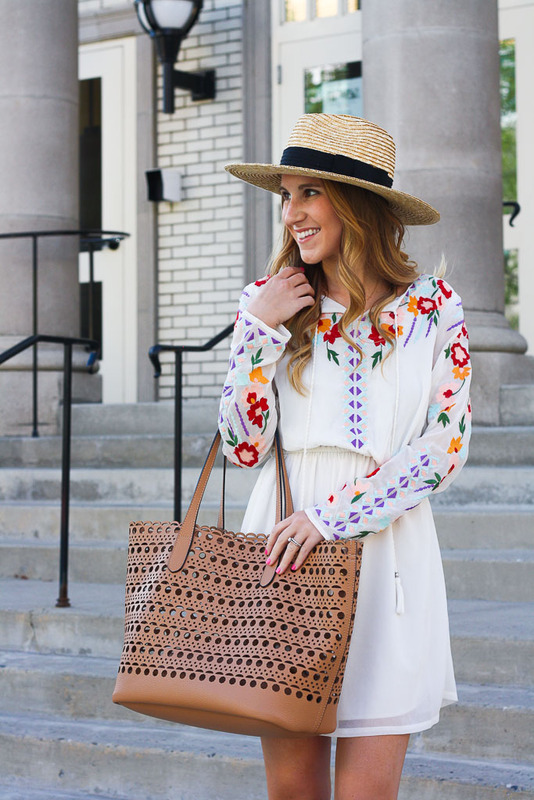 I love the embroidered detailing and that it has long sleeves. 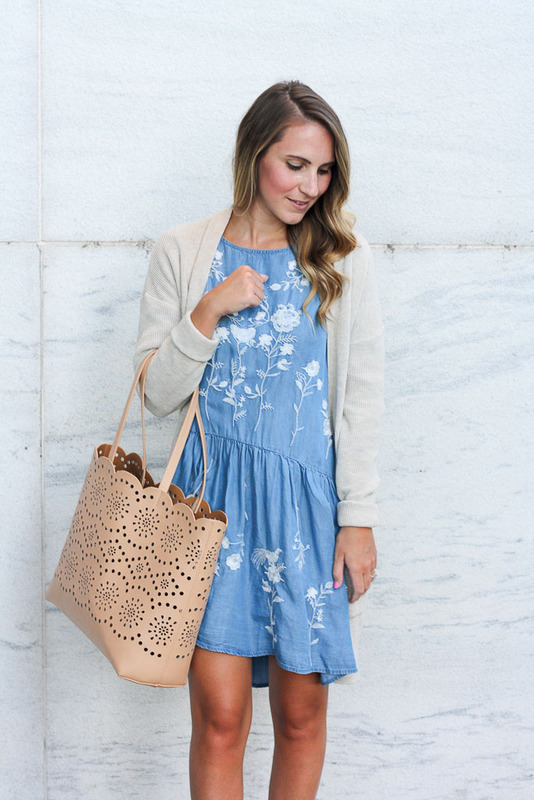 I’ve been wearing it all summer with my favorite espadrilles, but plan on wearing it to work this week with a cozy cardigan and booties! It’s the perfect dress for the classroom!